I was also inspired by this post, just like Robyn and Susie. I have tons of newspaper lying around and thought this would be a perfect container to hold a ScraPerfect giveaway for a crop to raise money for Juvenile Diabetes this weekend. I used one sheet of newspaper, folded at the seam. 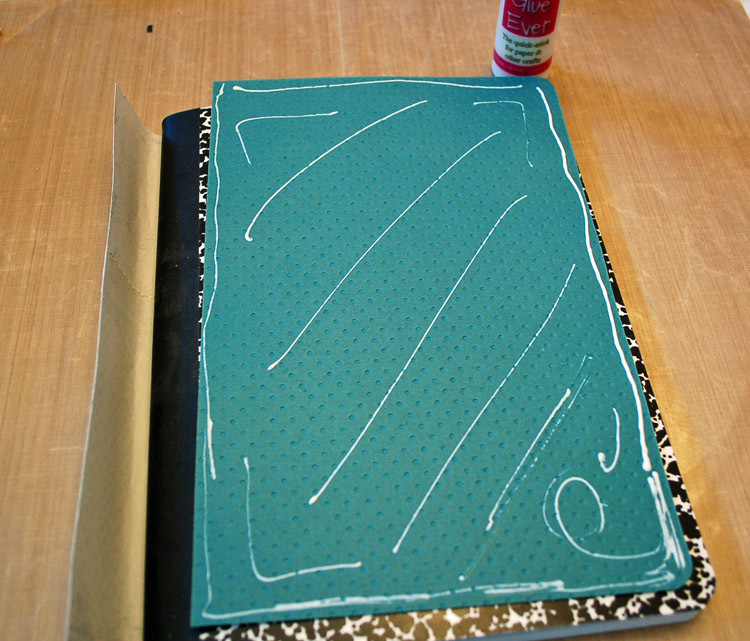 To keep the two pages together I applied some of the Best Glue Ever between the pages. Then, I gessoed each side. I wanted some of the writing to show through, so I didn't use a thick coat. Next was to add some design. I rubbed the Perfect Crafting Pouch over the surface and used the stamps above with two different colors of Colorbox pigment ink and black archival ink. The white ink came out really juicy. To help dry it I lightly pounced the Perfect Crafting Pouch on top of the wet ink. After I was done clean up was a breeze with the Best Cleaner Ever. 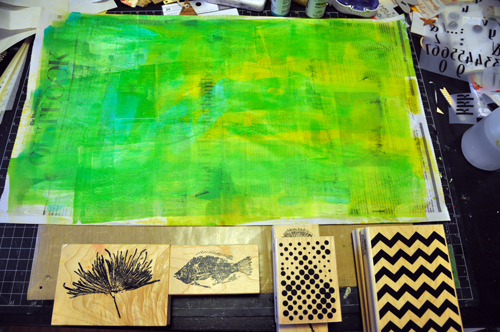 Just one spritz per stamp and a paper towel was all I needed to wipe off all the pigment ink quick and easy. Now I could make my bag. I roughly followed the instructions, estimating rather than measuring when folding the top and bottom of the paper. The top fold was glued down with the Best Glue Ever. I did decide to measure the sides of the bag. 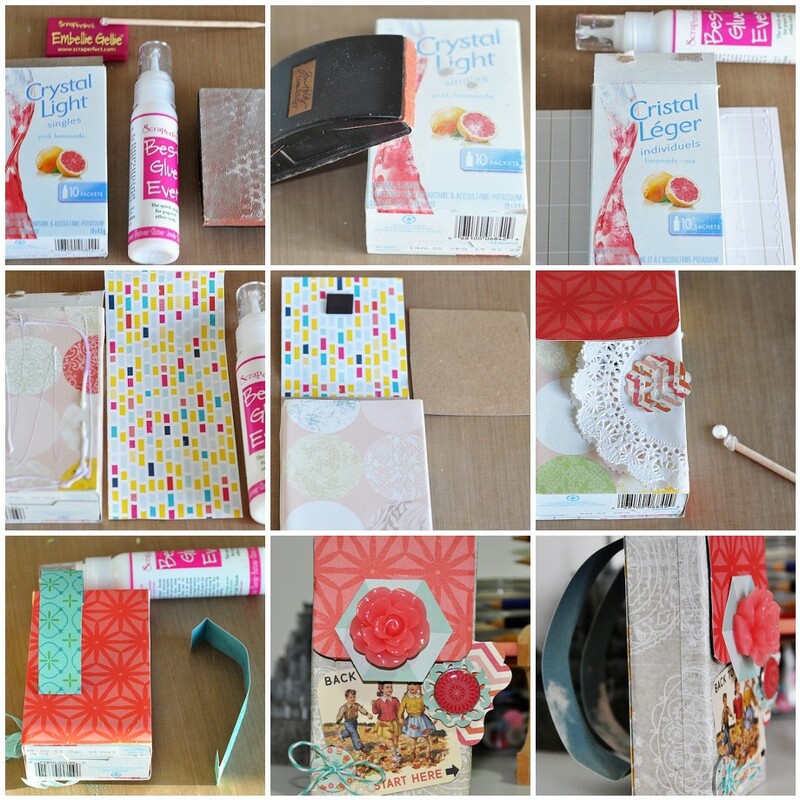 Once the bag was folded, the sides and bottom were also glued down with the Best Glue Ever. 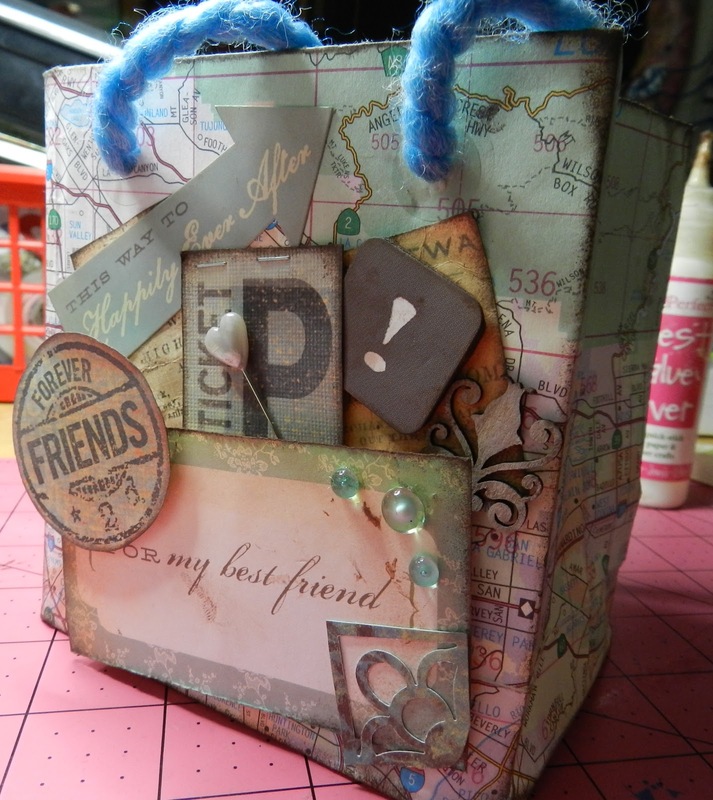 I cut a piece of chipboard for the inside bottom of the bag and added yellow ribbon for handles. But it needed something else. 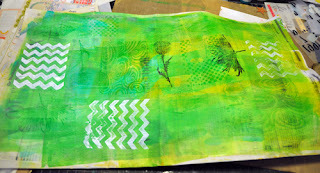 So I grabbed a tag, some paint, stamps, and flowers and I was done. The Best Glue Ever is my go-to adhesive for embellishments. It makes placing these large paper flowers a breeze. I add a bit of glue to the back and let it dry until it's tacky. Then, you just stick the flowers where you want them - no moving around, no holding them down, no glue seeping out around the flower. Another Home Made Gift Bag! 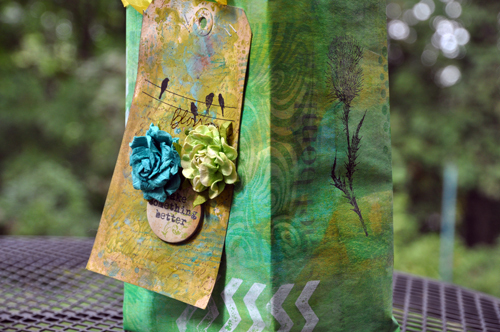 Did you see the cute gift bag Robyn made? It was made out of a map! Her inspiration came from here and I loved the idea of making one out of newspaper, especially since I recently picked up a newspaper printed in Chinese and I have been itching to use it! ...so I actually took the bag apart to use as a template. I traced it onto the newspaper and cut it out. ...and the Best Glue Ever to seal all the seams. The bag was double layered for strength, and I found that the layers kept separating a bit as I assembled it. Simple solution - I smeared a little glue between the pages to keep them aligned as I assembled the bag. 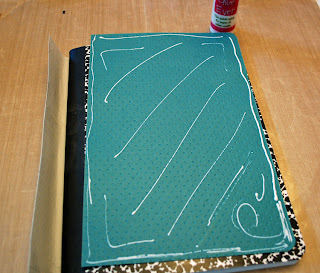 One of the best things about this glue is that it adheres the paper without wrinkling it. I cut a small piece of cardboard to reinforce the bottom of the bag. I punched holes in the top of the bag with my Crop-o-dile then reinforced them with eyelets. Trying to go for a natural "zen" look, I snipped a bamboo skewer from my kitchen to use as part of the bag closure. I fed some black waxed linen thread through the holes, wrapped it around the skewer,back through the holes, and tied it off in the back. Time for a little decoration! 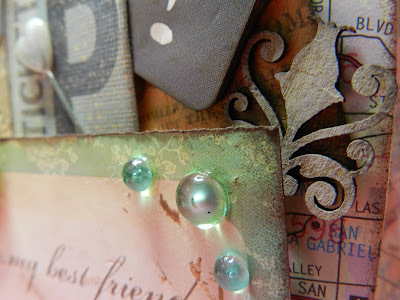 I had some vellum tags in my stash, which I swiped with the Perfect Crafting Pouch before stamping with black Archival Ink. The images are sharp and clear and the ink dried very quickly. I cut 3 lengths of the waxed linen thread in varying lengths and knotted little glass beads onto the ends of each. The last step was to tie the threads to the skewer so that the tags dangled down the front of the bag. Now wouldn't this be perfect for gifting some tea...or bath salts...or an aromatherapy candle? I know I will use this idea again to create customized gift bags. Hi, everyone! 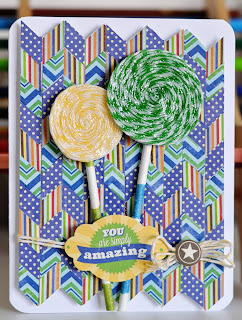 Dani here to share a fun card I made for my oldest son. Yesterday was his 8th birthday (where on Earth did time go?) and I couldn't resist the urge of making him a funky card. So for this one I die-cut many stripes of different papers from pattern paper, glued them one after the other on a piece of cardstock. I have to that the Best Glue Ever is simply perfect for that, just a little bit glued the paper perfectly! And the think tip is just awesome for thin strips of paper!After that, I cut it in strips every time the chevron would "change course", and that's where the Best Cleaner Ever comes in handy! I was using a guilhotine (but tried with my scissors first, and it work like a charm) and after the first cut I noticed some glue stuck in the blade, so I spray a little bit of Best Cleaner Ever on it! This cleaner is so amazing I could cut about 20 stripes without getting the blade dirty a single time, AND I didn't even had a residue on my pattern paper. Brilliant!! So, I glued the newly cut strips down on a different piece of cardstock, but making them uneven (the pattern paper would be one chevron up it's match). 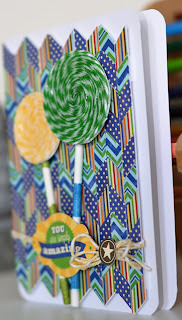 I finished up with some twine lollypops made using the Best Glue Ever (did you know it's PERFECT or twine too?). Voilà! A fun card for a fun little wait not that little anymore, OMG I'm getting old! boy!!! Here is a folded paper Gift Bag following the instructions in this blog. 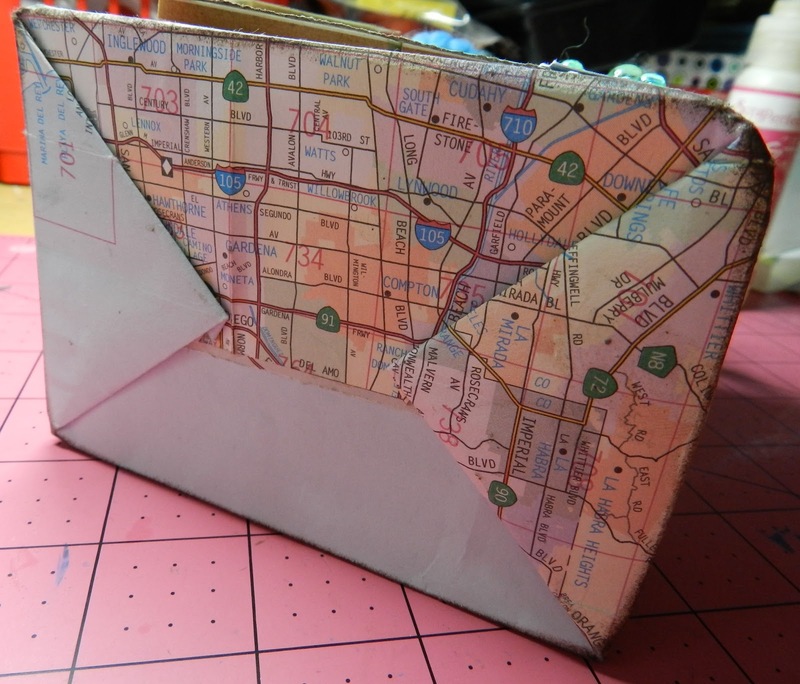 In this case, instead of using newspaper (mostly because I don't get any), I used an old map of Los Angeles County. Like the blog instructions, I made it two ply. I used Best Glue Ever for the paper and embellishments. Next I decided it needed more decoration, so a I inked some ephemera (dried with the Perfect Crafting Pouch), stamped an image for a "coin", and layered it on to the front. I placed Dew Drops with Embellie Gellie. The handles are some coordinating thick yarn, knotted inside. I reinforced the holes with clear circular reinforcements. Cleaned my clear stamp with Best Cleaner Ever, just like always. Amy Here with a new card tutorial. 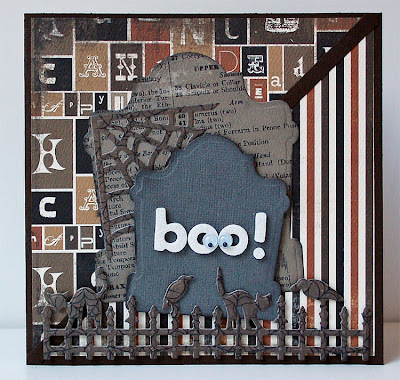 Starting with a chipboard image (from a Black and White pack of visual Cards for babies), learn lots of tips you can adapt for other projects! 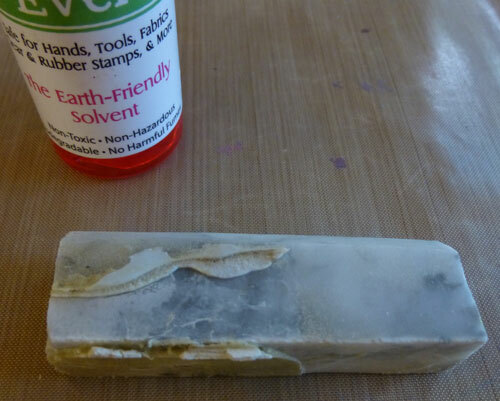 The Best Glue Ever is used for adhering vellum, ribbon, gems, paper, glitter and more. 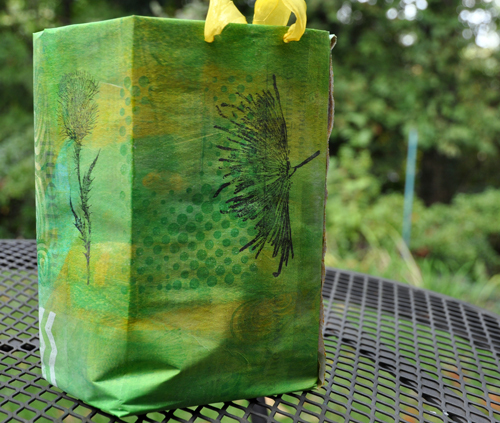 The Perfect Crafting Pouch makes inkjet printing on vellum fast and perfect. Embellie Gellie is used for picking up and placing gems, die-cuts, and small embellishments. 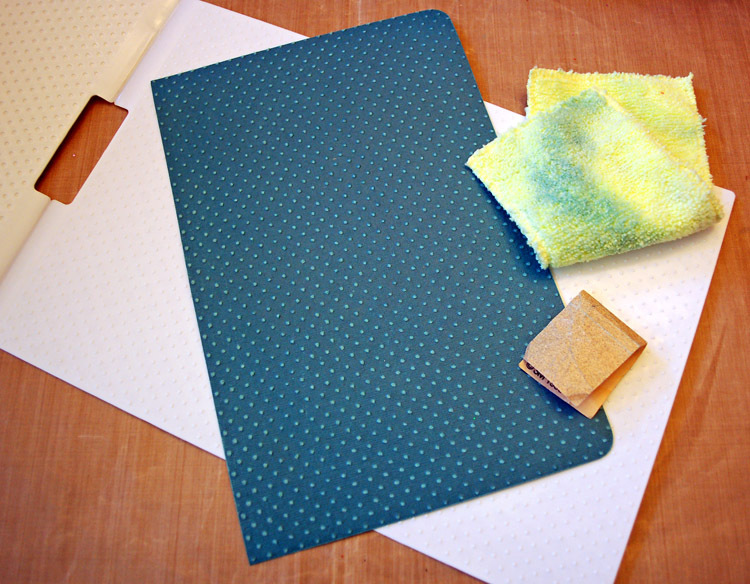 The Perfect Cleaning Cloth clears the work surface of glitter. 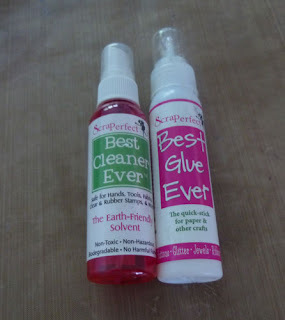 See how the Best Glue Ever outperforms Stickles. Make your own "foam brush" and learn more more cool ideas and money-saving tips. Cooler temperature is upon us and the days are getting shorter. You know that fall is coming…Halloween will be here before you know it! 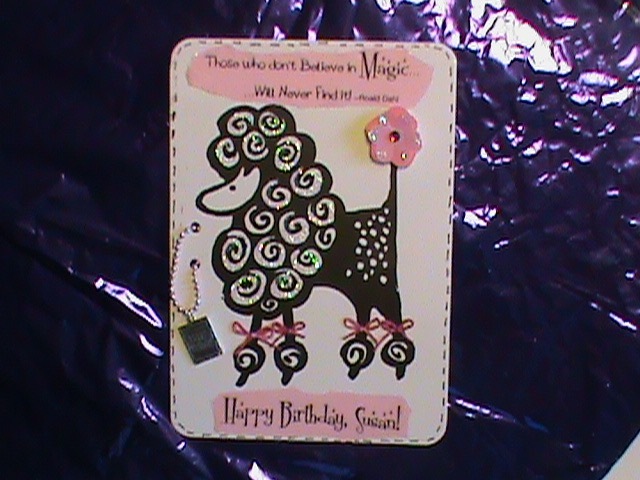 I created a card to mark the occasion with the help of ScraPerfect’s the Best Glue Ever and the Embellie Gellie. 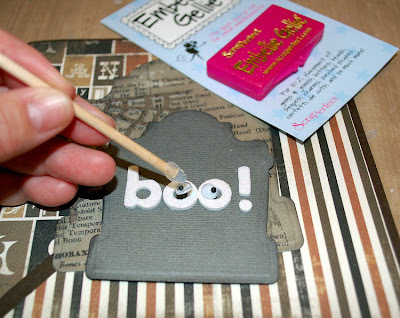 My biggest challenge is keeping those letter stickers to stay on my projects but with a little help from the Best Glue Ever, it’s not a problem! Another problem solver is how to place those stickers and the gooley eyes without your fingers in the way, the Embellie Gellie is just the right tool to accomplish that. Hope the next time you create your Halloween fun, let these problem solvers from ScraPerfect help out. I think they will fast become a staple in your tool kit. They are in mine! Check it out! How-to Remove Sharpie from a Cotton T-Shirt! AMAZING! THE BEST CLEANER EVER by ScraPerfect removed Sharpie permanent marker that was washed and dried onto a cotton t-shirt. The cleaner also removed some unknown stain-- with ease! How? I just sprayed it on, rubbed it in, and let it set a while before washing. VOILA! No mark remained. What's next? My sister wants to know if The Best Cleaner Ever can take pen marks off a silk shirt or wool pants. Guess I need to make a trip to Goodwill to buy some clothes for testing! 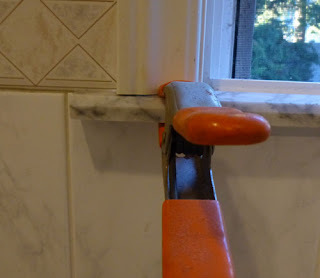 When we had some tile work done in our bathroom some time ago, the contractor cut the window ledge too short and then had to piece it together. Needless to say, that small piece has never stayed put and it drives me crazy every time it falls off!!! So, I had a thought the other night - perhaps the Best Glue Ever could help me out and stop the tile from falling. The first thing I needed to do was clean the tile. Would the Best Cleaner Ever work? I was quite hopeful. 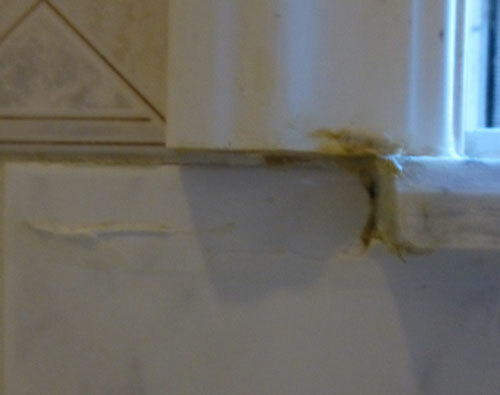 You can see here that the tile is all caked with the different glues we have used to try to fix the tile over the years. After coating the tile with the Best Cleaner Ever, I was easily able to rub off the existing residue. For the stubborn areas, I just added some more Best Clearner Ever and let it soak for a few minutes. Oh wow, how exciting - a product that actually stands up to it's name! I also needed to clean the tile and window area before adding the small piece back. Out came the Best Cleaner Ever again which I sprayed on the areas that needed to be cleaned. It did take several coats of the Best Cleaner Ever, but I was impressed with how this area came clean. No more yellow residue. Now that the area was cleaned and dried, I took out the Best Glue Ever and placed it on the tile as well as on the area around the tile to be sure I got a good adhesive hold. Because I didn't want to wait for the glue to dry before removing my fingers, I placed a spring gripper tool on the small piece and the surrounding tile to aid in helping the glue adhere and keep the smaller piece in place. I left it in place overnight to ensure I got a strong hold. Voila! This morning I tool off the gripper and this is the result. 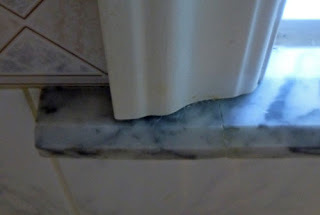 The tile has adhered and the area around the tile is beautifully clean. All I need to do now is have my husband add some caulk to fill in the open gaps. So next time you have a job around the house that needs some repairs, pull out the Best Cleaner Ever and the Best Glue Ever and see what these products can do for you. They sure have me thinking of other things I can do! Since we home school, and pretty much learn year round, we don't have a "Back To School" activity. However this year, we did do something special as a family in August. We went to the North East Unschooling Conference, where both James and I were speakers and participated in Q&A panels. I made a double page layout to commemorate that wonderful trip. I didn't carry my camera around much, or I'd be able to make a mini-album, but I did get some great photos. Plus I recently learned that I can make prints from my Facebook feed at CVS pharmacies! Love that - so this layout is a mix of images from my Nikon camera and my iPhone camera. This layout is loosely based on my own sketch from my blog, although my images tended to be horizontal rather than vertical, so there are some slight differences. Naturally I used Best Glue Ever throughout, including reviving some plastic sticky back letters that had lost their stick. I also used Perfect Crafting Pouch liberally as a quick dry for the inking and stamping (Perfect Cleaning Cloth to clean the dust), and to prepare my vellum for printing to get a nice crisp result. I created 3D effects by raising element on craft foam and eco-boards, both of which work perfectly well with BGE. I enjoyed including a bunch of ephemeral elements from our trip - but I can't find the plastic room key I kept. When it turns up, I'll add it to the layout somewhere. I journaled directly on to the background. 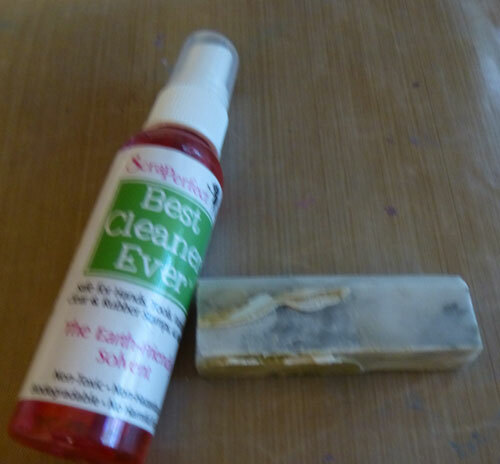 Last thing, Best Cleaner Ever to clean up my clear cling stamps and rubber stamp. Hi, everyone! 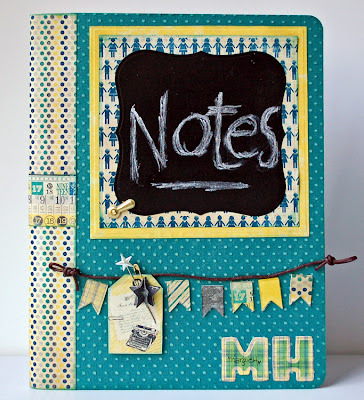 Dani Donner here on my first ever post here at the ScraPerfect blog! Yeeek! (Excited would be an understatement, ha!). I can't hardly express how honored I am to be part of this time of amazing (and talent) people. September is National Ovarian Cancer Awareness month. I have a family member battling this disease and her support group is very important to her. This layout celebrates the monthly luncheons they share. I wanted to work in the color teal because it is the awareness color for Ovarian Cancer. I pulled some Heidi Swapp clear ghost letters out of my stash and colored them with Stream Alcohol Ink from Ranger, adding a touch of the silver mixative. 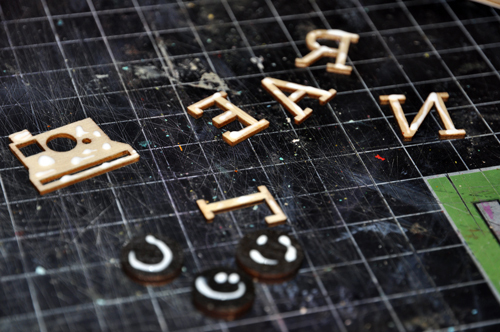 To attach the letters to the layout I spread a thin layer of The Best Glue Ever on the back of each letter. The shine and transparency are wonderful and you can't see any of the adhesive! 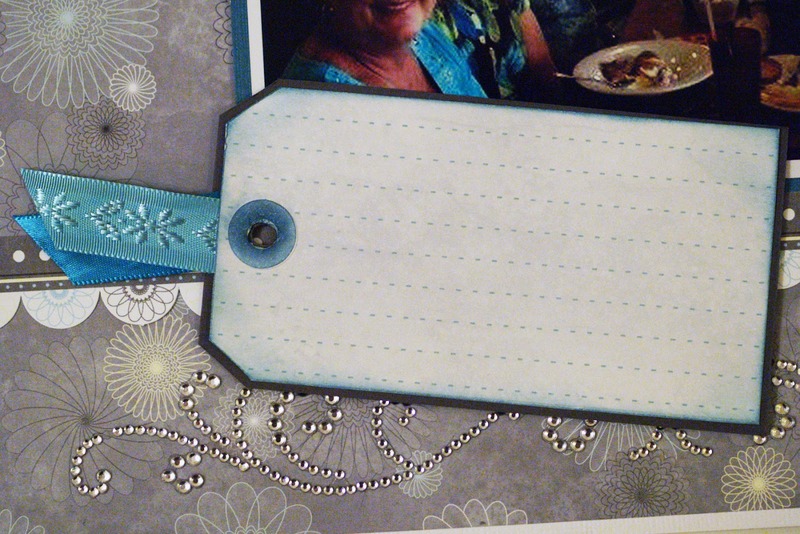 I tucked a journaling tag behind the photo, using The Best Glue Ever as the adhesive. It is wonderful the way it adheres paper without any wrinkles! I hope you noticed the flourish of rhinestones across the bottom of the layout. 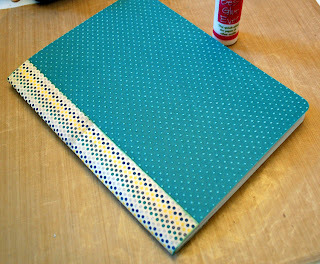 It is from Want2Scrap and it inspired me to add tiny rhinestones scattered all over the layout. I pladed the tiniest little dots of glue in strategic places then waited for them to dry clear and tacky... ...then I used my Embellie Gellie to quickly and easily place each 3mm rhinestone. The final detail was to place the delicate lace circle behind the photo. 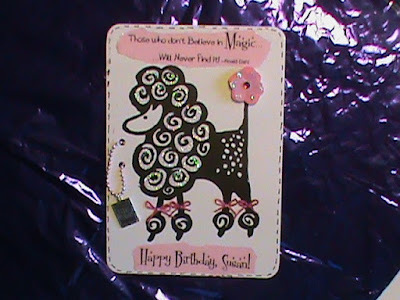 It was cut with Spellbinders Splendid Circles die set. I was tempted to add some of the rhinestones to that, but I resisted because I really wanted it to look like a paper doily. The paper I used is from Moxxie's new Road to Recovery line. 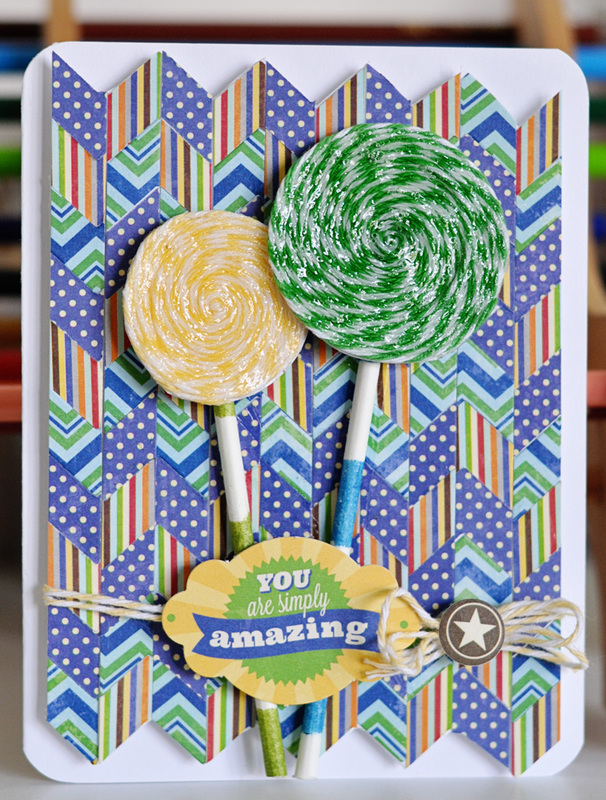 Check out my blog today for a chance to win a pack of paper from this fabulous line! Oh! I almost forgot! To raise awareness for Ovarian Cancer, Wear Teal Today!! First I covered the book with a combination of Authentique Paper’s Curiosity Collection and Core’dinations cardstock. I embossed my cardstock with Spellbinders M-Bossabilities A4- sized Dainty Dots Folder and used the Perfect Cleaning Cloth to wipe off the sanded mess! 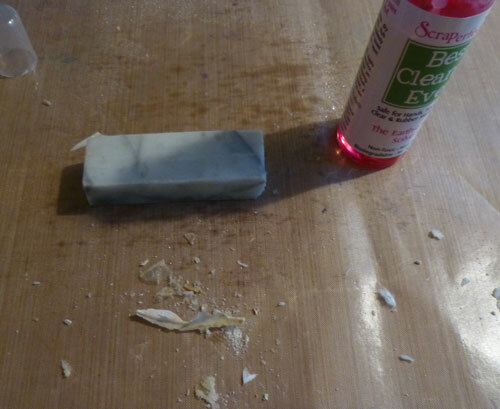 The Best Glue Ever made this process SO EASY and wrinkle-free! 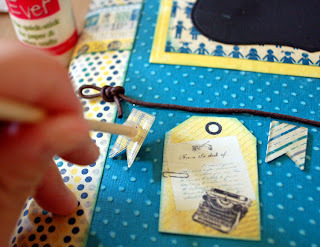 Next I punch some pennants from Epiphany Crafts and lined them up to position where to “draw” my glue. I left the glue line to dry – LOVE that fine point tip! The Best Glue Ever dries clear but tacky. 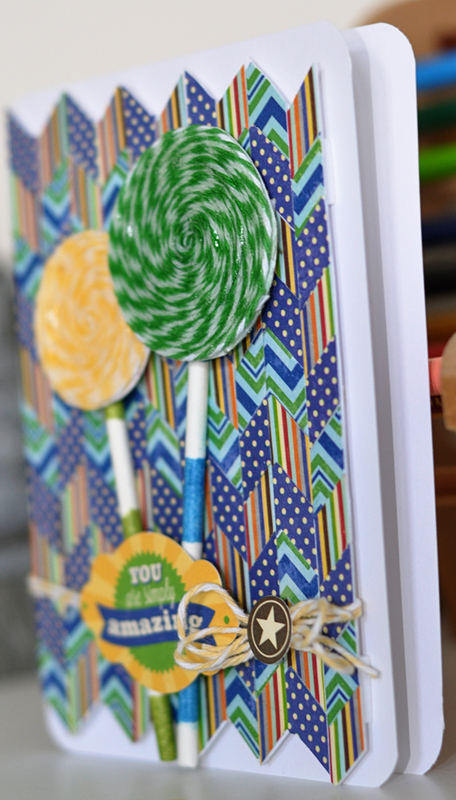 This tacky feature makes it easy to create glue rounds and HUGE glue rounds too! See the page turn? 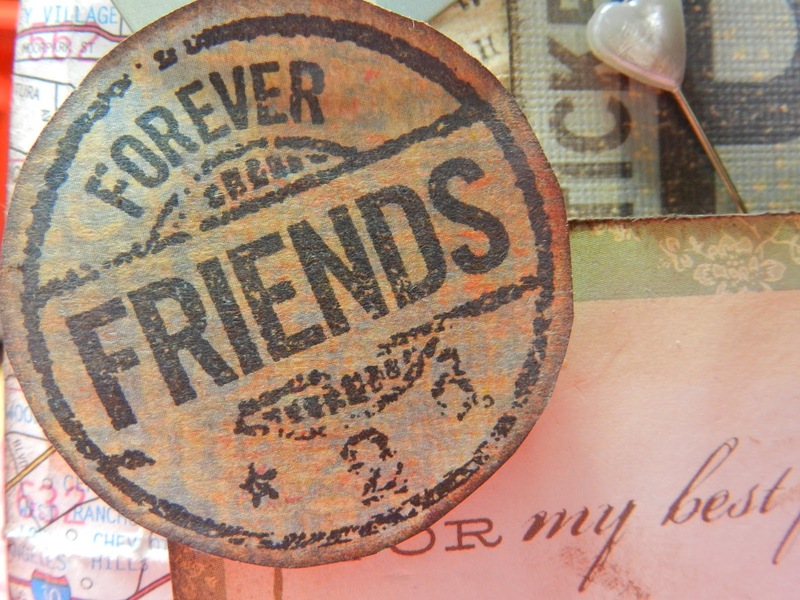 That embellie was an afterthought and was adhered with the Best Glue Ever – yes, you can use it on metal too! 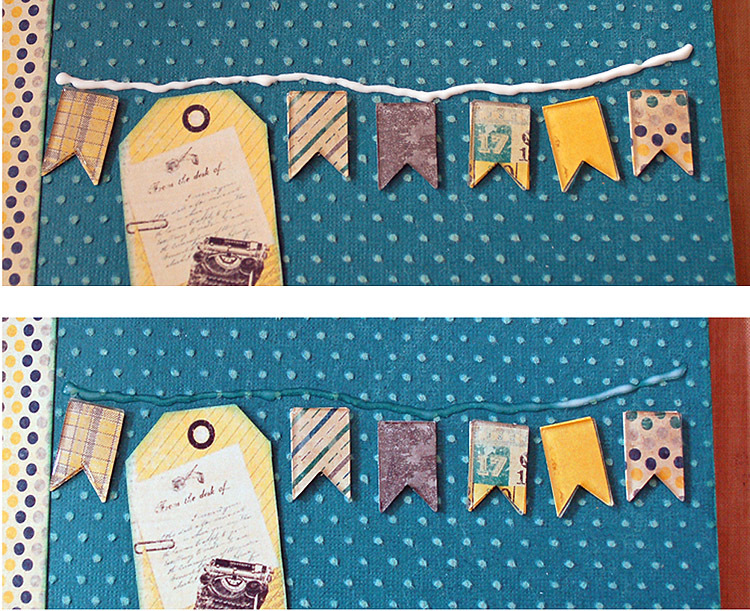 After the cord was placed on the glue line, I used my Embellie Gellie and the Best Glue Ever to adhere my pennants just right! Using chalkstock paper , I cut/embossed Spellbinders Grand Nestabilities Grand Labels One and matted it with Grand Squares die cuts. I can erase the chalked Notes and put any subject on the cover! Here’s a second look at the book. Well, great minds think alike! 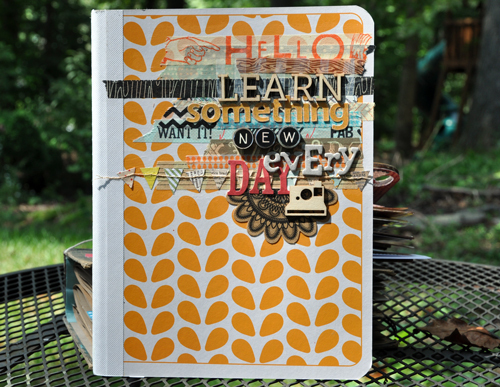 See our design team coordinator, Deborah Mahnken’s take on altering her comp. 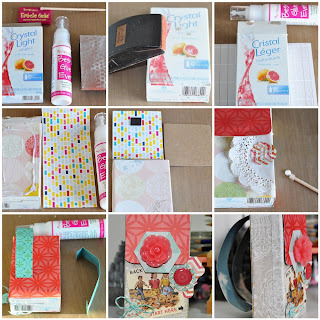 book – Minibook Covers post! LOVE what she did to hers! Bookmark ScraPerfect Blog for more great ideas and tips. Don’t forget to LIKE us on ScraPerfect FaceBook Page too. 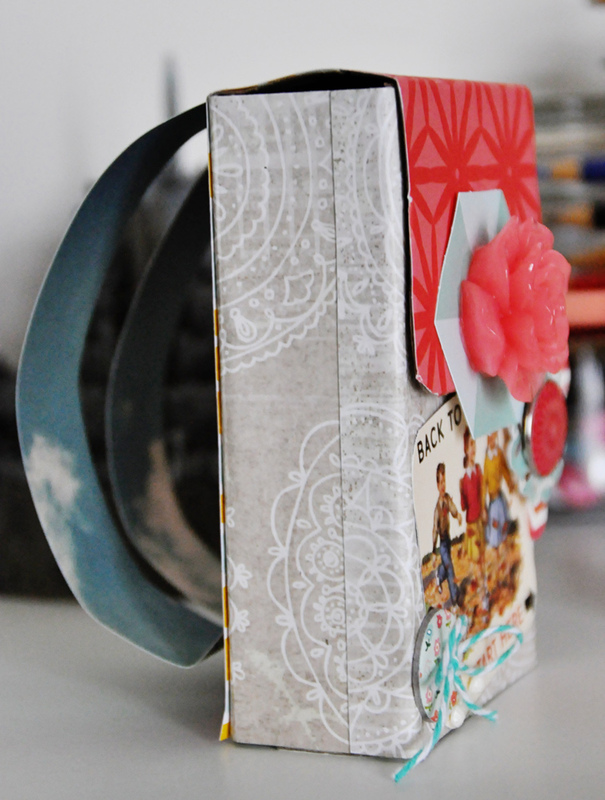 Mini books get handled a lot more than regular scrapbook pages. And they need to be able to withstand the wear and tear that comes with it. When I used embellishments on my covers I always use the Best Glue Ever for a strong, lasting hold. I love that the fine tip on the bottle lets me put just the right amount of glue. 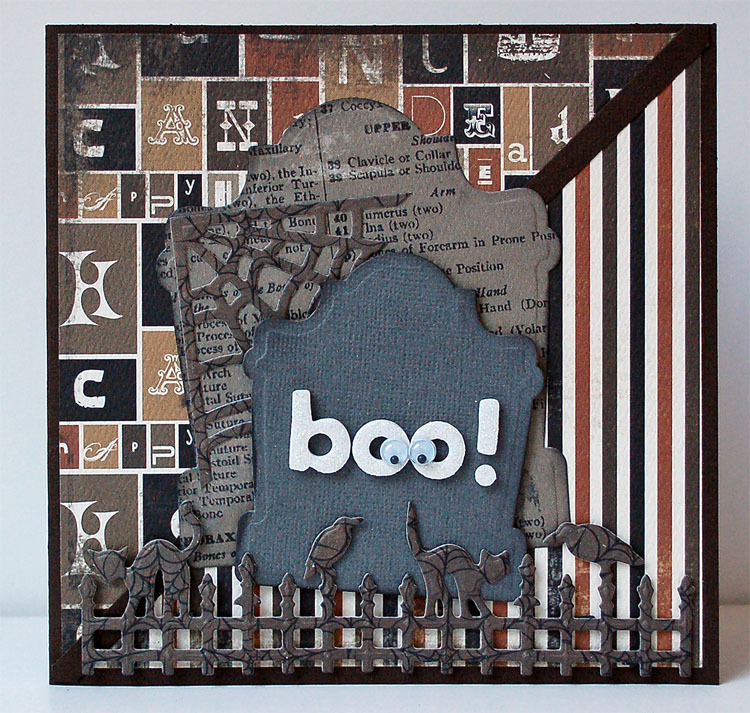 Here, I'm using skinny wood alphas and several other wood embellishments. I also use the Best Glue Ever for dimensional alphas, like Thickers, that have a tendency to peel off. And here's the final cover. 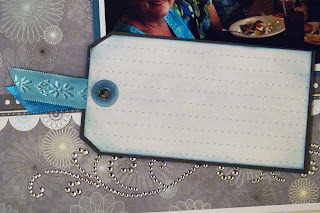 This is for a yearly album I do as part of a Shimelle class. 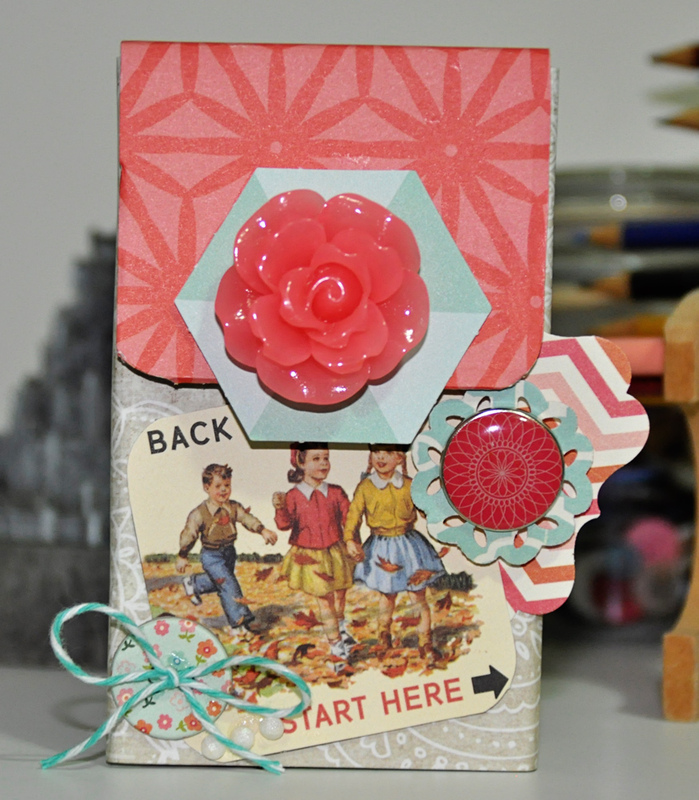 I started with a regular old composition book from Target then added lots of tape, stickers, a flag border and my wooden embellishments. And no matter how much this book gets used this month, I won't have to worry about the cover at all.